Social media sites have been a great way for many website owners to generate traffic to create additional revenue. Although SEO practices can help your website’s page rank, you’re going to be in competition with a great deal of others who share your niche. Social media sites can help set yourself apart from the competition and gain traffic that you wouldn’t normally have. If your blog’s income is based on affiliate marketing and pay-per-click advertising such as Google Adsense, you want as many visitors as you can possibly get. Any way to drive traffic to your blog should be exercised in order to maximize your income potential. As these methods are free to use, the only thing you need to invest is time. Creating a profile on Facebook could have a profound impact on your blog, provided you keep the content updated. Each time a person “Likes” you on Facebook, comments on your status, or otherwise interacts with your profile a link is added to his or her wall for their friends and family to see and click on. It is a method of continual advertising that could potential reach hundreds or even thousands of people with a single comment or post. In order for Facebook to continue producing interest for your blog, you need to keep the content fresh and original. You won’t be able to simply create an account and hope for the best. Readers of your blog like to be informed and feeling like they are a part of something other than themselves. It’s all about social interaction. Creating artful images for your blog can help promote your website. Many people will put up intriguing, amazing, or otherwise silly images to entice visitors to click on the link to visit the main website. If you have a talent for photography or can create attractive images with your favorite editing program, your blog could see an influx from those using Pinterest. Adding a short blurb to your images could help convince users of Pinterest to visit your blog site. A creative excerpt from a blog with a corresponding original image could greatly increase your chances of seeing additional traffic. Creating videos can have a double purpose for your blog. Creating short videos centered around your blog’s niche could attract the video crowd. By entering the link to your website in the description of the video, you give YouTube watchers a chance to be directed to the blog. These videos could also be embedded onto your blog’s pages as an additional form of content for your visitors to view. As long as your video is original and you can get a good amount of viewers watching them, you could monetize the video for an additional stream of income. YouTube will pay you for advertising on your video. Not only will you generate interest in your blog’s website, but you can make money from it as well. Twitter can be an easy social site to promote your blog. By commenting on other tweets and providing links to your site, you can begin to create a following. However, constant updates are required in order to keep the interest of those who follow you on Twitter. Most social media sites can be utilized to create additional traffic to virtually any website. One common element to establishing and maintaining this traffic is to make social media activity part of your daily routine. Keep the posts coming, and your site will reap the rewards from it. Blogging can be quite lucrative if you put in the time it takes to market your site well. While SEO practices should be your first step, utilizing social media should be a close second. Not only will it help drive interested quality traffic to your site, but you could find that it is fun to keep in touch with those who are fans of your content. Good tips on using social media. Today without social media, we will miss out on many thing, either interaction or driving traffic. Use of social media and blogging is now going hand in hand. Social Media is just essential if you want to build an online presence. I particularly have an issue with using Youtube in my country. Bandwidth is really down making it hard to view videos. However, Facebook and Twitter are very common. Facebook is my highest source of referral traffic for now. Hope to be on Pinterest as soon as I can. when you share useful posts with common topics. above all if they are about fashion, architecture or food. Nice to hear your feedback, Srikanth. 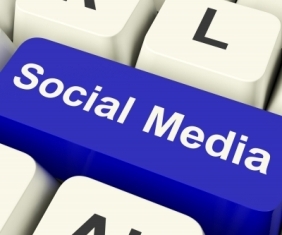 Nice post..Social media play most important role in sending traffic to once blog. For a new blog and blogger social media is the only one which provides initial traffic.In my opinion Facebook is the most effective now days followed by twitter .And I put Linkedin before Pinterest.Google + is also very effective. You should join Facebook Blogging groups, Mahendra, you will receive huge benefits! Social media definitely helps in getting the nerve of your customers and also research about the new potential customers. One mistake that many firms are doing these days is to only promote their brand and induldge in self promotion. Interactions over social media is very important. Social Media is just great. Every business need to have an online presence using Social Media accounts for most important networks. Thanks for the comment, Vikash. I agree that social and bookmarked websites works best in driving free traffic to websites,blogs and forums. Social media website will indeed help you market your blog and present it as a brand, I would also include Google+; although I found it confusing to use it but it has great effect on search engine ranking and it’s a must to use. Thanks for mention Google+, Qasim. I love this social network. It’s a MUST Have.